The Latest on Anstead Genealogy! Leimen, Germany -- Our Ancestor's Hometown! The Anstead Family celebrated their 50th reunion in Berkeley Springs, West Virginia over the weekend of August 19-20, 2000. 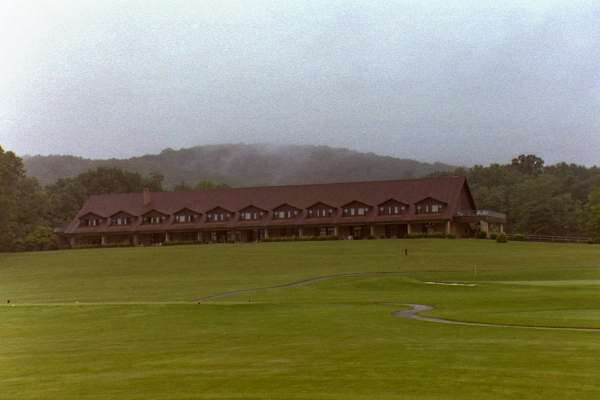 Everyone met at Cacapon Resort State Park, site of the 1998 reunion, to enjoy the recreational activities and mingle. Friday evening, many Ansteads participated in the Night Hike led by the Cacapon Park Naturalist. We learned how nocturnal animals find their way using their senses of smell, taste, hearing, and touch. The Naturalist was great at involving the children throughout the hike, asking them questions about different animals. Even she learned something new when one Anstead child spoke of the great adaptation skills of the Pokemon! The Naturalist ended the hike by involving everyone in an experiment. She explained how the concentrations of nitrogen, sugar, and peppermint oil in a "Wint-O-Green" lifesaver would produce a spark. Then we all got our own Lifesaver, took a bite, and saw for ourselves! As everyone woke up Saturday morning, there were opportunities for many different activities. Faye, Eloise, and Claudia traveled back in to town for massages at the spa. We were all a bit jealous upon hearing how wonderful it was! Another group went on a trail ride by horseback, while others enjoyed swimming and relaxing on the beach at the lake. The trails through the mountains provided lots of different paths for other Ansteads to hike and experience the beauty of the park. Saturday evening, we met for dinner at the Lodge, and then traveled in to town for mass at Saint Vincent de Paul Catholic Church. This is the same church where Ellsworth "Andy" Anstead (eldest son of Harry and Mary) attended during the latter part of his life. Following mass, we met back at the Lodge for cake and the family meeting. We all said our "good-bye’s" Sunday morning after the breakfast buffet at the Lodge. Planes, Trains (?) and Automobiles! This year, we probably had the widest span of travel to the reunion. Faye and Buzz Ziegler drove down from Altoona, PA. Roy Anstead took a break from the Delaware beach to join us. Mimi Carroll and her husband David came from outside San Diego, California. Eloise, Claudia, and Alexander Thibedeau traveled from outside Detroit, Michigan. Kristine (Anstead) Chalifoux and her family were visiting from central Illinois. The rest of Bob Anstead’s family drove up from the Washington, DC area. But the award for the greatest distance traveled EVER to and Anstead Reunion had to go to Phillip Anstead and his new wife Catherine who came from the Ivory Coast of Africa, where they are stationed with the American Embassy. WOW! As you may know, several members of the Anstead family have been working on tracing our ancestry. This past year, with the help of the Internet and some VERY distant cousins, Bob and Mary Anstead were able to find the exact town from which our ancestors immigrated. They visited this town, Leimen, Germany, during the spring, and came back with more information and some pictures. The next page shows a picture of the main street in Leimen, Germany, and another of the interior of the old Catholic Church in town. Unfortunately, the original church burned down shortly after our ancestors left Leimen, but the present church was built on the same site. Another item of interest found during this trip was the original spelling of our last name. So many different variations have been found, including Anstatt, Anstadt, Anstett, Anstitt, Anstidd, and so forth. But according to the records in Leimen, our ancestors spelled their last name "Anstett". On the reverse of the page with the photographs is our ancestor tree, as we know it now. As we find more information, we will pass it on in future newsletters. Ryan Trevvett Chalifoux was born to Kristine (Anstead) and Alan Chalifoux on July 21, 1999. Kristine is the granddaughter of Ellsworth and Pearle Anstead, and the daughter of Bob and Mary Anstead. Jordan Nicole Anstead was born to Don and Melinda Anstead on July 3, 2000. She weighed 7 lbs 6 oz and was 20 inches long. Don is the son of Fred and Edna Anstead. Allison Mary Anstead was born to Joe and Nancy Anstead. Joe is the son of Roy and Mary Alice Anstead. We congratulate Phillip Anstead and welcome his new wife Catherine to our family! Phil and Catherine met while working at the American Embassy in the Ivory Coast of Africa. Catherine is originally from Paris, France. Scott Phillips suffered a stroke in April. He is home in Big Rapids, MI to recover. Scott is the husband of Faye Phillips, who is the daughter of Mary Stanton. Edna Anstead has been diagnosed with cancer. According to Faye Ziegler, she is doing fairly well and is undergoing chemotherapy. Edna is the wife of Fred Anstead. Lena Anstead is presently in a nursing care home. She is the wife of Rupert Anstead. Margaret Hamilton and Martha Anstead are not in good health. Martha is the wife of Leo Anstead. Erika Anstead announced that she received her First Communion this past Spring. Erika is the great-granddaughter of Ellsworth & Pearle Anstead, the granddaughter of Bob & Mary Anstead, and the daughter of Glenn & Emily Anstead. 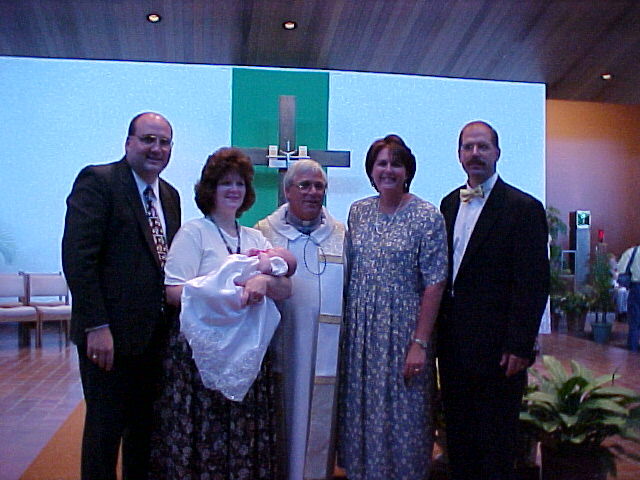 June 22-24, 2001 in Champaign, Illinois. and we hope to have a stellar turnout! Many thanks to Kristine & Alan Chalifoux for volunteering to host! If you know of anyone who is not receiving the Anstead Update, please send their address to Susan M. Anstead, 32 Carriage House Circle, Alexandria, VA 22304, or e-mail to connysmom@bigfoot.com. Note that this is a NEW address.